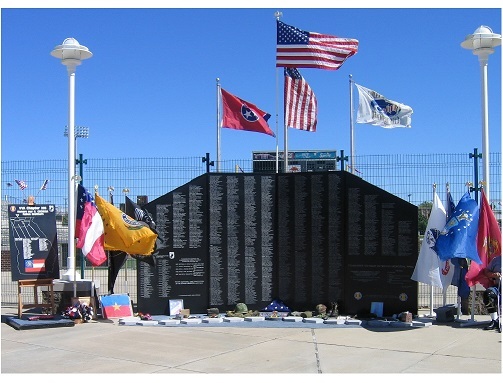 In 1994, the first TN Vietnam Memorial Wall was dedicated. Garry Miller, Chapter 203 Life Member, was inspired to create it and dedicate it to his friend, Ronald Burns, who was Killed-in-Action in June 1969. 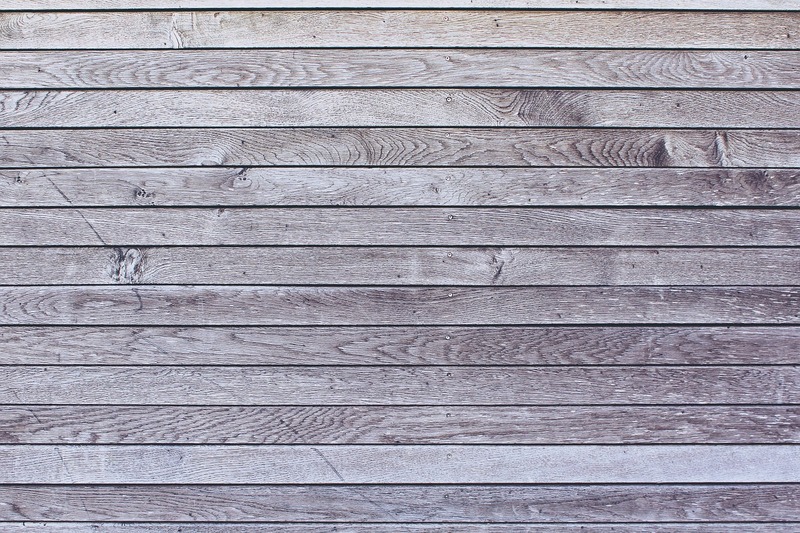 In 2003, the wear and tear of assembly and disassembly had taken its toll on the fragile framing, so a new Wall was designed and produced. This one is weather resistant and will allow visitors to take an etching with them. In 2004, a Georgia Memorial Plaque was added. This plaque includes those who were Killed-in-Action from surrounding Catossa, Dade, Walker, and Whitfield counties in Georgia. On December 17, 2000, Chapter 203 took possession of the Huey Helicopter in Ft. Rucker, AL. On Saturday, June 30, 2001, the Huey was “Dedicated to All Who Served”. There were approximately 1,200 people in attendance for the dedication. 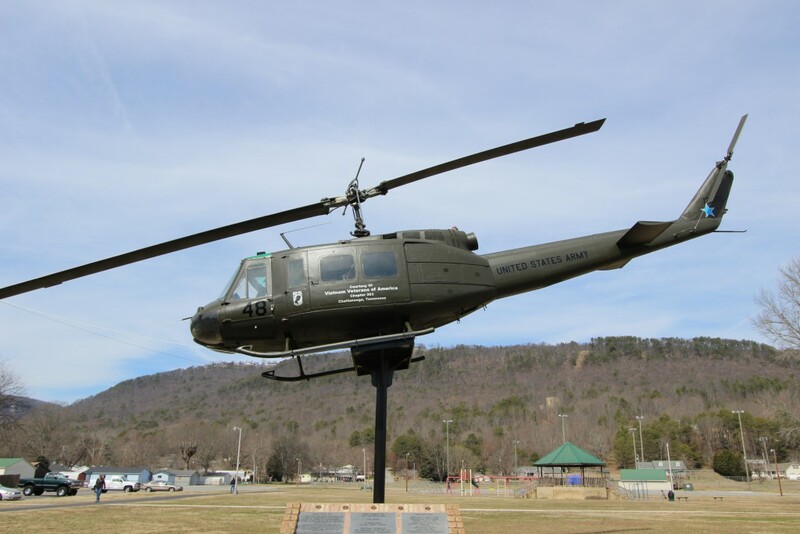 The Huey is mounted on a 12-foot pedestal in Soddy Daisy Veterans Park. It is owned and maintained by Chapter 203. In front of the Huey is a monument listing those contributors who make the shrine possible. by any other website or person without express permission.